FDA-Required Disclaimer: Despite the First Amendment, the FDA would prosecute me for expressing my opinion about their criminal harm to public health unless I make the following statements up front: This page is educational in nature and makes no claims to diagnose, prevent, treat or cure any disease. All opinions, statements and presentation of facts on this page are my own or those of the people quoted; quotes may have been taken out of context. You should verify this information through your own research. If you have any health condition, seek the advice of a doctor who has been awarded the credentials M.D. from an institution financed, approved and controlled by the Medical / Pharmaceutical Cartel, or seek the advice of another health care provider of your choice, whose fees for service are probably not covered by the Health Insurance arm of the Medical / Pharmaceutical Cartel. “The truth that vaccine policy is not about science or safety but about money and politics is finally seeing the light of day. We have a choice to make about not only holding responsible parties accountable for destroying the lives of untold children around the world, but whether we want to destroy the human genome by the continued injection of dirty vaccine that punches holes in our immune systems. Aluminum Toxicity: A Misdiagnosed Epidemic ~ In simple terms, the most notable symptoms of aluminum poisoning are diminishing intellectual function, forgetfulness, inability to concentrate and, in extreme cases, full blown dementia and Alzheimer’s. Aluminum toxicity also causes bone softening and bone mass loss, kidney and other soft tissue damage and, in large enough doses, can cause cardiac arrest. Why would aluminum be used in vaccines? Tripedia DTaP Patient Insert Reads: “Adverse events reported during post-approval use of Tripedia vaccine include idiopathic thrombocytopenic purpura, SIDS [Sudden Infant Death Syndrome], anaphylactic reaction, cellulitis, autism, convulsion/grand mal convulsion, encephalopathy, hypotonia, neuropathy, somnolence and apnea.” This Tripedia vaccine product insert was removed from the Johns Hopkins Institute for Vaccine Safety website and is now missing from the Centers for Disease Control Vaccine Price List. Dr. Viera Scheibner was researching the causes of Sudden Infant Death Syndrome (SIDS), called “cot death” in Australia, and in the course of her research, used breathing monitors on a group of infants, and discovered something she wasn’t even looking for: that all infants suffered respiratory distress within days of receiving the DPT vaccine, and there were specific “danger days” following the vaccine on which several infants died, and all infants experienced respiratory distress. 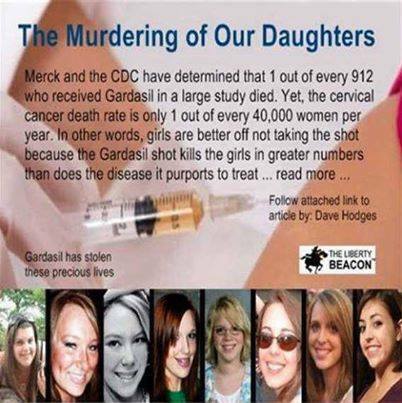 HPV Gardasil Vaccine Proves Lethal — 47 Girls Now Dead. In 1976, President Gerald Ford declared swine flu a national emergency, and 46 million people were vaccinated following government recommendations. The vaccine caused several deaths and thousands of people were paralyzed with Guillain-Barre Syndrome (“French Polio”). The United States government paid out billions for damages resulting from the vaccines. A great documentary aired on CBS “60 Minutes” about the 1976 Swine Flu Vaccine Disaster, but the videos have been pulled from YouTube. 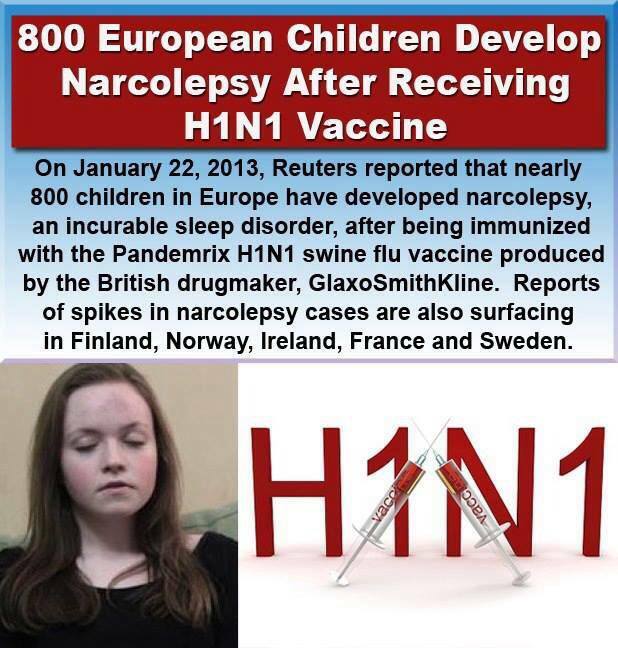 There were two parts, and the first part of the video titles were “Swine Flu Vaccine 1976″…. You may be able to find the documentary on the wayback machine or internet archive. If anyone finds a good link, please send it to me. 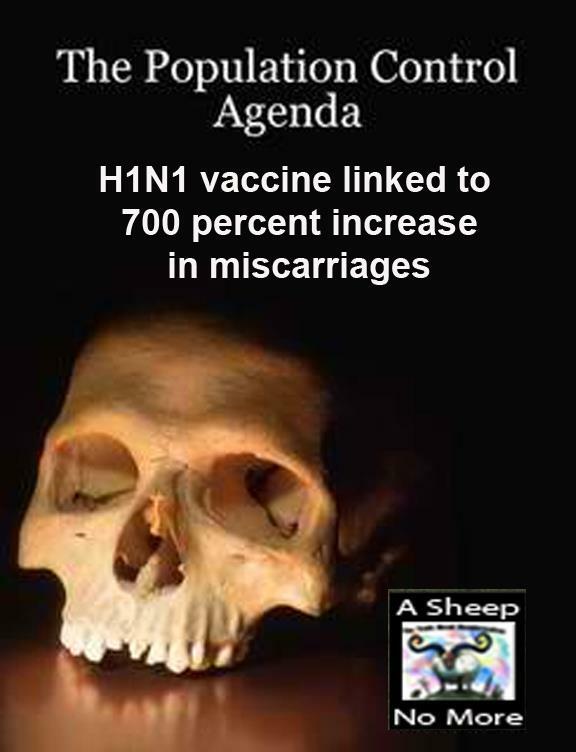 Dr. Suzanne Humphries ~ Did Vaccines Eliminate Polio and Smallpox? Dr. Viera Scheibner proved with statistics that measles and many other diseases were in steady decline long before vaccines were ever introduced to large populations, and therefore, the diseases had declined due to other factors, and not due to the vaccines. Dr. Cal Streeter ~ Vaccines in Children Cause Cancer ~ Cancer in young people generally results from vaccines. Cancer in people over 25 generally is related to emotional trauma inhibiting natural killer cells. 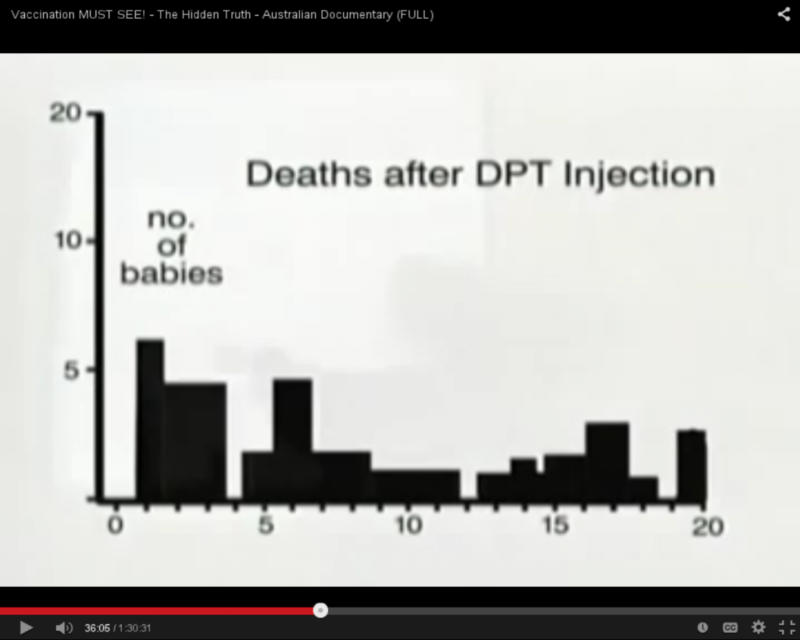 Dr. Suzanne Humphries ~ Are Vaccines Safe? 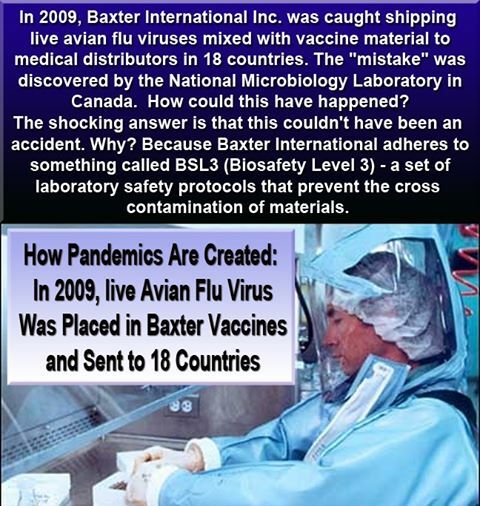 Dr. Sherri J. Tenpenny ~ Vaccine Developers: Heroes or Villains? 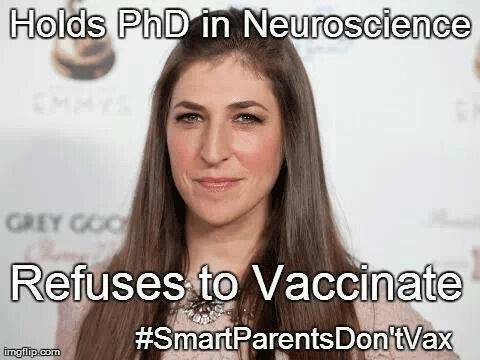 “This forced me to look into the question of vaccination further, and the further I looked the more shocked I became. 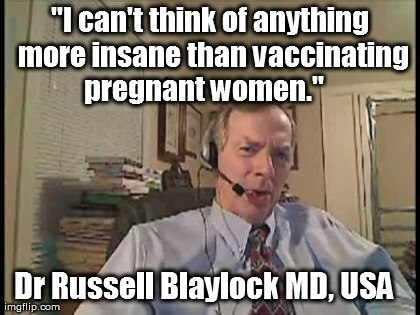 I found that the whole vaccine business was indeed a gigantic hoax. Most doctors are convinced that they are useful, but if you look at the proper statistics and study the instances of these diseases you will realize that this is not so. My final conclusion after forty years or more in this business [medicine] is that the unofficial policy of the World Health Organization and the unofficial policy of the ‘Save the Children’s Fund’ and other vaccine promoting organizations is one of murder and genocide. I cannot see any other possible explanation. You cannot immunize sick children, malnourished children, and expect to get away with it. 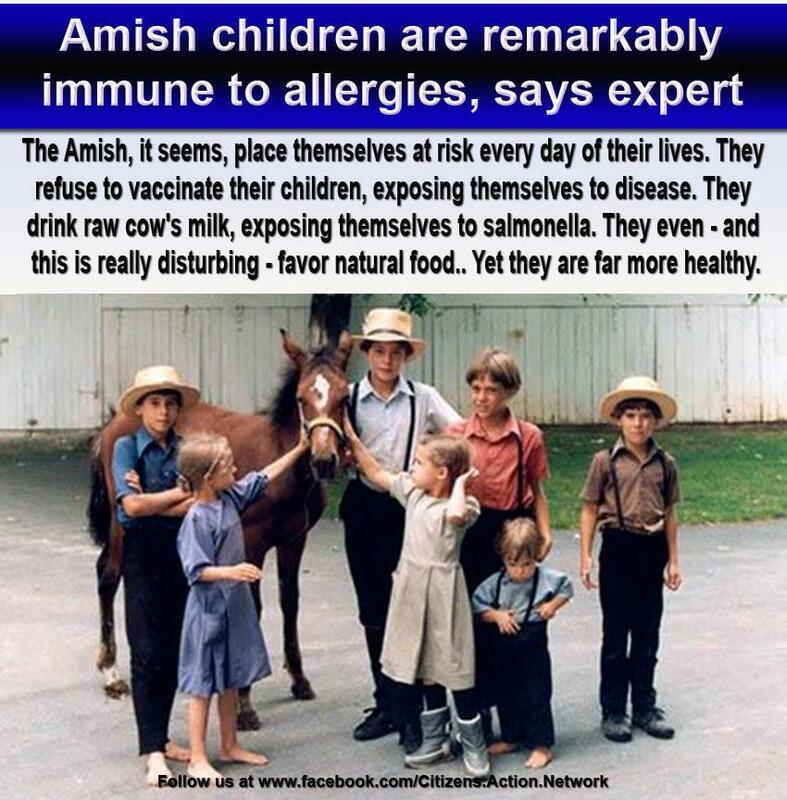 You’ll kill far more children than would have died from natural infection.” ~ Dr. Kalokerinos, M.D. The most famous scientist whose research and reputation were attacked by high-paid PR firms is Dr. Andrew Wakefield, whose paper proving a link between the MMR vaccine and autism was published in the peer-reviewed scientific journal The Lancet. His research, and then his reputation, were then viciously attacked in newspapers and TV news broadcasts. Wakefield’s research has been replicated by other scientists, and has never been refuted. Wakefield was finally vindicated, and now PR firms and Big Pharma attack dogs are trying to discredit his vindication. 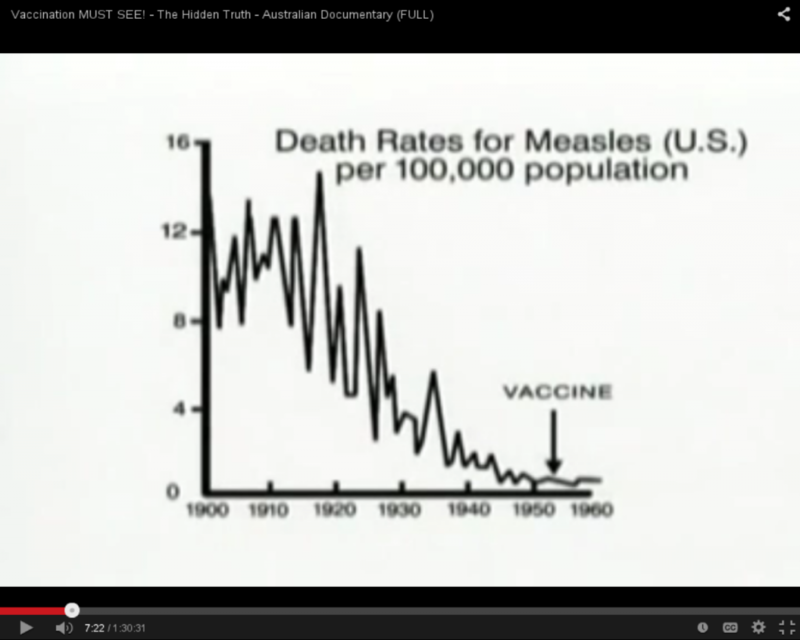 Dr. Suzanne Humphries ~ Herd Immunity: Is It Irresponsible Not To Vaccinate? The best way for a baby to develop immunity specifically tailored to what both mother and baby have been exposed to, is mother’s breast milk ~ the mother will develop antibodies to whatever they are both exposed to, and pass the antibodies to her baby through her breast milk. The International Medical Council on Vaccination ~ The International Medical Council on Vaccination is an association of medical doctors, registered nurses and other qualified medical professionals whose purpose is to counter the messages asserted by pharmaceutical companies, the government and medical agencies that vaccines are safe, effective and harmless. Our conclusions have been reached individually by each member of the Council, after thousands of hours of personal research, study and observation. 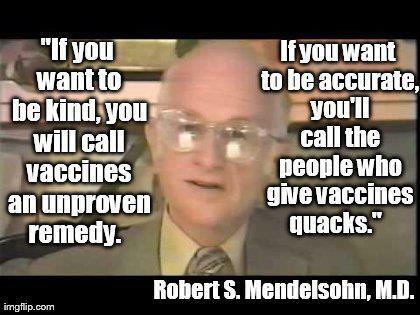 We are profoundly critical of the practice of vaccination. 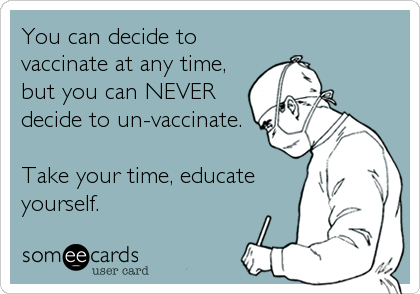 Vaccination is an unacceptable risk to every member of society, regardless of age. 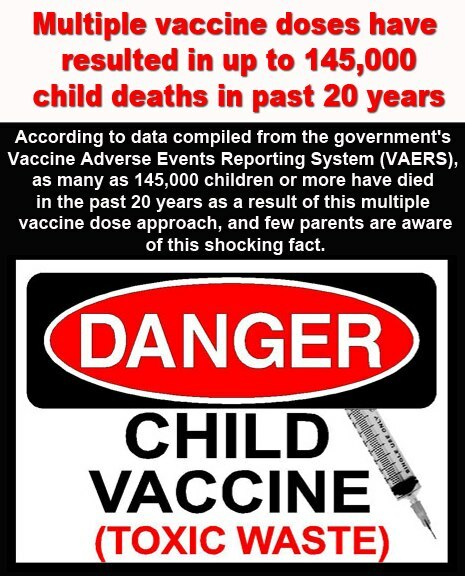 National Vaccine Information Center ~ This non-profit organization and the NVIC.org website were founded by Barbara Loe Fisher, whose child was injured by a vaccine. 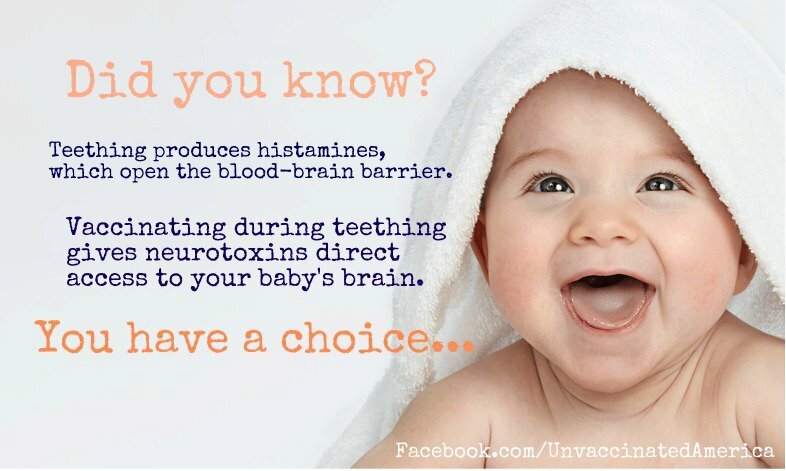 “No American should be legally forced to play vaccine roulette with their child.” ~ Barbara Loe Fisher. VacTruth.com ~ This website was founded by Jeffry John Aufderheide, whose son was injured by vaccines. PutChildrenFirst.org ~ PutChildrenFirst.org was founded by parents to let the world know that the Centers For Disease Control (CDC), a division of the Department of Health and Human Services, is covering-up the relationship between a near-tripling of vaccinations for our children in the 1990s and the epidemic of autism and other neurodevelopmental disorders that began at exactly the same time. 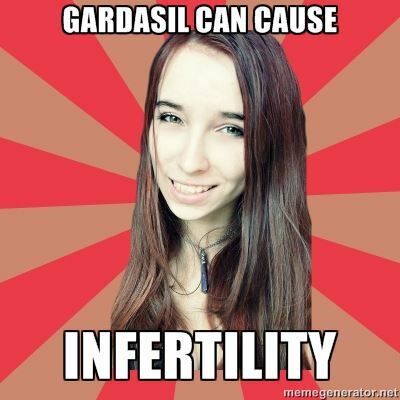 Sane Vax ~ This website focuses mainly on the Gardasil vaccine and HPV, but their research archives cover a wider range of vaccine-related topics. 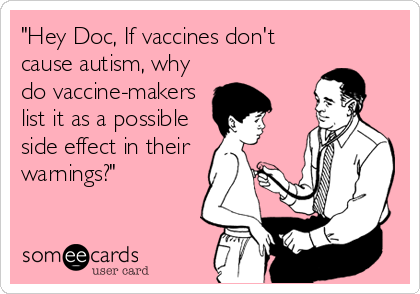 Neil Z. Miller ~ Vaccines: Are They Really Safe and Effective? The National Vaccine Information Center maintains pages on vaccine laws by US state. Look below the map and click on your state for state-specific laws on exemptions, and exemption forms if available. Enter your email address to download a FREE Vaccine Survival Guide which includes vaccine exemption forms for all states. Vaccine pioneer Dr. Maurice Hilleman admits adding cancer-causing virus to vaccine and accidentally importing AIDS virus in the African Green monkeys. WWII Military Handbook Reveals Pesticide Chemicals Are Used in Infant Vaccines ~ A United States military handbook published in 1946 shows chemical compounds used in formulating the pesticide DDT are currently injected into babies. 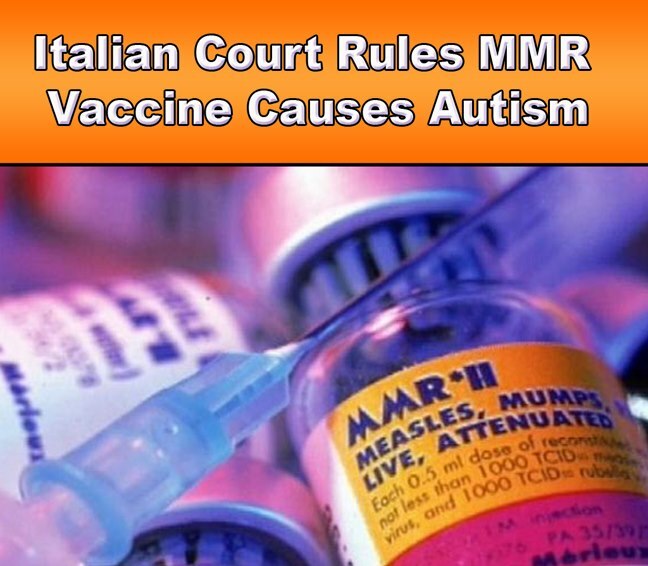 The patents on those chemical compounds are currently owned by Novartis, a vaccine manufacturer. Links to a Scribd version of the original document. Vaccines and Medications: Undue Pharmaceutical Manufacturers’ Influence ~ RESULTS: We located abundance of consistent evidence demonstrating that the industry has created means to intervene in all steps of the processes that determine healthcare research, strategy, expenditure, practice and education. As a result of these interferences, the benefits of drugs and other products are often exaggerated and their potential harms are downplayed, and clinical guidelines, medical practice, and healthcare expenditure decisions are biased. 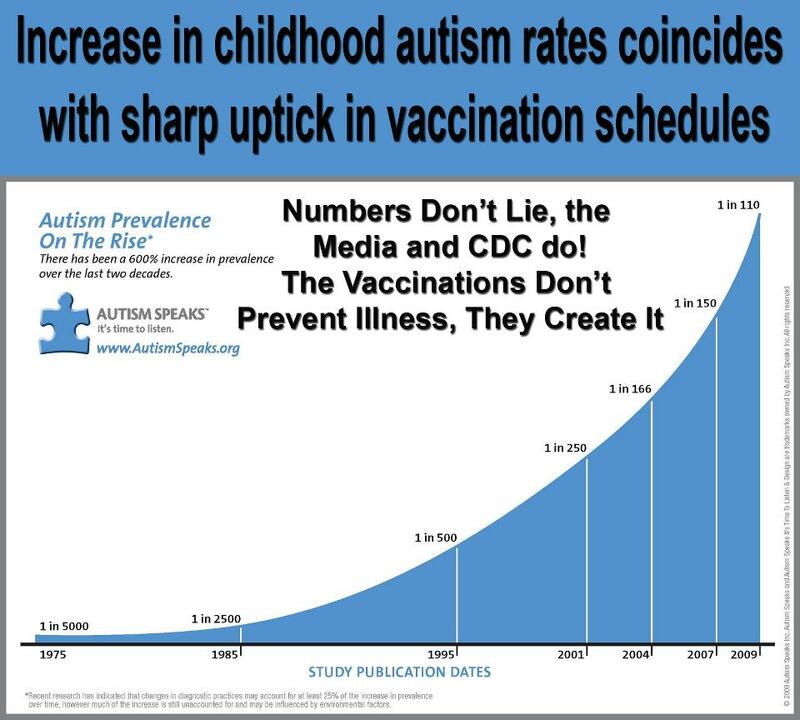 The study that showed vaccines were responsible for causing autism-associated or autism-like symptoms from mercury in vaccines was done by CDC epidemiologist Tom Verstraeten using the CDC’s massive Vaccine Safety Datalink (VSD) and presented at the Simpsonwood Conference Center (Atlanta, GA area) in June 2000 with only 52 vaccine manufacturers invited to discuss the problem and how to change the science. As a result of the Simpsonwood Meeting, Dr. Verstraeten effectively reworked the data; found no implication / causation for autism; and that’s what the CDC/FDA say is factual science. Dr. Verstraeten then went on to work for GlaxoSmithKline (vaccine manufacturer) in its European Union facility. The University of Oregon gave Paul White Lewis a Ph.D. for a thesis on Sterilization of Akha Women in Thailand. Matthew McDaniel Requested that the Ph.D. be rescinded and the thesis be pulled off the university library shelves.